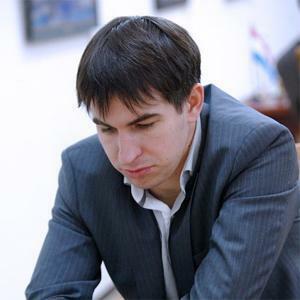 Dmitry Andreikin has excellent chances to win the second FIDE Grand Prix in Tashkent. The Russian grandmaster maintained his lead as all games in the penultimate round ended in draws. Six draws doesn't sound too exciting but the penultimate round in Tashkent was in fact quite exciting. All games were “real” battles, and only one was a bit dull but that was only because the game was simply very correct! That game was Nakamura-Jakovenko, a Queen's Gambit Declined, Lasker Defense where Black was just very solid from the start. Nakamura: “If your opponent plays well there's not much you can do really.” | Photo © Yulia Monakova courtesy of FIDE. The next game to finish was Kasimdzhanov-Radjabov, and the press conference of these players was really interesting. They had some different ideas about this Hedgehog, and at the same time both revealed deep knowledge of classical games. Kasimdzhanov was very self-critical: “I think I played it horribly. The way it happened I think I was being outplayed very quickly.” But Radjabov pointed out that it wasn't all that bad for White. It wasn't so bad for Kasimdzhanov after all. | Photo © Yulia Monakova courtesy of FIDE. Caruana made it clear at the press conference that playing two tough tournaments after each other is far from ideal. “It lowers the quality of the games,” he said, and he hadn't even seen all the computer evaluations of his game with Karjakin yet! Before we move on, you can try a very difficult puzzle. Caruana said that it's “impossible to find even if you have a lot of time.” Can you? In a Fianchetto Grünfeld the Italian got into trouble after some doubtful maneuvers in the middlegame. Karjakin missed two wins, but neither one was really easy to find. Caruana escaped with a draw. | Photo © Yulia Monakova courtesy of FIDE. The leader in the tournament had to work had for his half point. “After my game with Tomashevsky I thought Black had no problems but after this game I understands he really has to fight for a draw,” said Andreikin, who defended very well in the rook ending. Andreikin saved the draw and with it his pole position. | Photo © Yulia Monakova courtesy of FIDE. Mamedyarov vs Vachier-Lagrave was an absolutely fascinating battle and clearly the game of the round. Even the players weren't sure what was going on — well, they actually had a completely different opinion about many positions! Mamedyarov thought that “everything is better for White,” but his opponent didn't agree at all. An heated debate about who was better! | Photo © Yulia Monakova courtesy of FIDE. Luckily after this intermezzo the post-mortem continued normally. Some awkward moments at the press conference. | Photo © Yulia Monakova courtesy of FIDE.